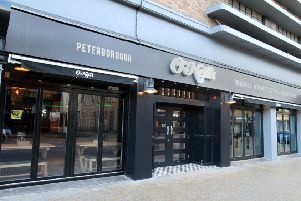 Cafe Clarkes, the restaurant operating out of Peterborough’s Key Theatre, has closed. The restaurant opened in 2013 offering freshly cooked British favourites with a modern twist. It was the sister restaurant of Clarkes, the fine dining venue which closed in Queen Street at the end of December as it is in the process of relocating to The Fox in Folksworth. A spokesman for the city’s leisure and arts provider Vivacity, which operates the theatre, said: “Vivacity have been informed today (Monday) that Café Clarkes have ceased trading at their restaurant located within the Key Theatre. “Any customers who had pre booked at the restaurant will be contacted. Today on the restaurant’s website “viability” was cited as the reason behind the closure. A notice stated: “It’s with much sadness that we announce the permanent closure of Cafe Clarkes. We would like to thank all customers who have supported us over the past three and a half years in our aim to bring modern British dining to Peterborough’s Embankment. “ Due to non-viability we have taken the decision to close the restaurant, allowing us to focus our efforts on establishing Clarkes at the Fox in Folksworth with staff being retained where possible.